I’ve been missing you all and wanted to say, Merry Christmas and hope the holidays and New Year bring happiness and good health your way. You’re in my thoughts, hope all is well. My Christmas wish is more time with you. I hope that you had a wonderful holiday season. Happy New Year! Thank you Sheryl. The holidays were busy but always nice to see family and friends. Happy New Year to you as well! Merry Christmas & Have an Amazing New Year! 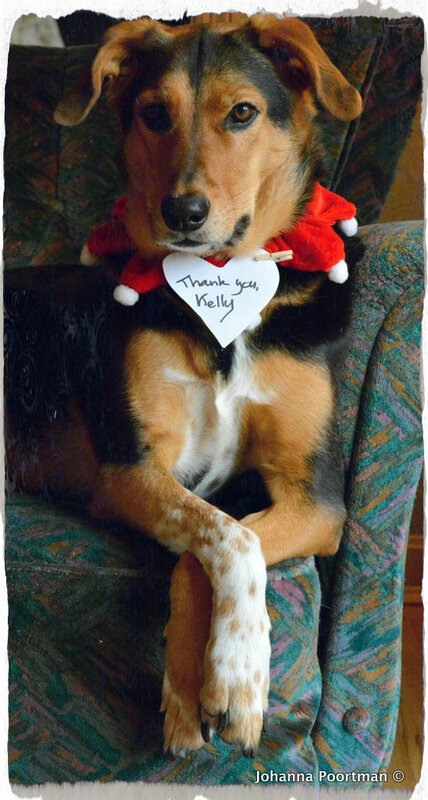 Happy you’ve stumbled in and thank’s a bunch for your kind message Kally. My friends here call me Boomdee but I’m actually a ‘Kelly’ 😀 Hey! Look at that. I have a bro Kenny? You? Haha!! Nice to meet another Kelly! I have a sister and nope she is not call Kenny. Lol!! I hope you are enjoying your holidays! It’s been a busy but fruitful year for me so I’m really excited about the new year! Hope you had a wonderful Christmas! Wishing you all the best in the New Year! Thank you Sheryl! Happiest holidays to you too. We’re getting off easy this winter up here. There’s snow, but rather inconsistent. Maybe spring will be early this year! It has been fairly mild so far…so nice! Wishing you a very Happy New Year! Hope 2016 is amazing for you! Hope you had a wonderful Christmas and the bestest New Year ever my friend! Thanks so much Cindy! Yes, life’s been too busy to blog but I guess that’s better than boring, which you wouldn’t know the meaning of. Happy and safe travels. Yours is the last blog I am visiting before hopping on the bike in this 75 degree weather. WTW!!! Happy travels LB and thanks for visiting darlin’. Looking forward to Skype too! Bazinga! For some reason this was delayed in my Bloglovin reader. I’m so glad I spotted it now. It sounds like you are on the road. I hope your travels were safe, warm and happy. It’s 4:25 here. We’ve had such a pleasant day at home. Still looking forward to dinner and a quiet weekend ahead. Dear number one fan 😀 (you make me laugh), we’ve had a very full day but all good. I found my way to our guest room but Jim’s still up…..and they’re laughing like a couple of schoolgirls. Your day sounds so nice and relaxing. What did you whip up for dinner? Did the kitties find a gift under the tree? Petals and Blossum got catnip toys, fish with aqua tails 😀 Daddy bought them. I’m glad to read that Jim’s having such a good time and that you made it to the guest room for a bit of quiet WP time. This is the first year in a long while that we didn’t buy kitty toys, but our next door neighbors/friends brought us a huge basket of goodies that included several cat toys. Lucky felines! One of the gifts was a bottle of craft brew for Mike with a tiny Santa hat on top. That little hat turned into the highlight of Christmas morning. Stay tuned for silly pics. Boomdee it’s so good to be able to wish you a Merry Christmas as well. Isn’t it the nicest thing to have friends all over the globe? Those kitty toes – just the best. I want to moosh those soft toes onto my cheeks so I can feel them. That is a gorgeous Joy wreath! Cheers Crystal! I hope you had an awesome day. We’ve travelled a fair ways from home, ate a big meal, played cards, hugged lots and laughed. All wonderful and I’m pooped. How does Santa pull these all nighters? Those toes belong to Blossum (Petals has really teeny tiny toes) and she’s so loveable, she’d gladly moosh her toes into your cheeks, preferably at 2:30am….that’s ok right? The baubles on the wreath are what I’ve collected over a couple of Christmas’s, not precious stuff at all but I like to use a live wreath because then I don’t have to store much afterwards. Thank you for your wishes and I hope you’re enjoying the holidays! … and a very Merry Christmas and a happy and healthy New Year to you Boom!!! Dear Harold, thanks a bunch. You as well, where ever your travels have taken you! Thank you Derrick, I hope you had a wonderful day! I’ve been up 2 1/2 hours already. The turkey is cooking, posts have been read and I’m ready for Santa to bring up his sled. Have a Happy Christmas and all the rest of the good coming to you. Lots of love. I hope you liked it. It was made with love. Giant hugs. Merry Christmas and a Happy New Year, Boomdee, from all of us at Salmon Brook Farms! Always love to see you in my mailbox! MERRY CHRISTMAS BOOMDEE! Have missed you…..been hoping life has been good to you and yours………I hope Santa brought you something aquacized this year since you’ve been EVER so good……..have a fabulously happy Christmas and wonderful new year. Love all of these beautifully creative projects of yours – what a talented and sweet lady you are………..but then I already KNEW that! Oh Pam, I do miss you too…..honest to goodness, I want to be here more. I must try to organize so much more. Thank you so much for always being supportive and lovely, you’re a doll. Hope your holidays are awesome and filled with laughter and a little relaxing too. We know how much Sammykins loves your lap. Love and hugs to you! The Advent project is gorgeous. Heavens, you’re so kind to visit so many posts, thank you my dear for spending time here. I sure haven’t lately and have been extra busy this season. I’m off for a couple of days now and plan to be a sofa surfer with all of you. Happy Holidays and wishing you a beautiful year ahead. Merry Christmas and wishing you the best in 2016. Enjoy every minutes of the season. Wonderful projects…..love your kitty toes. You’re so creative. Merry Christmas to you and enjoy every minute of you can. Happy Holidays! Wishing you all the best, my dear Boomdee!